Enjoy Constance Barker's Books? Tell us Why and Win a Free Book! 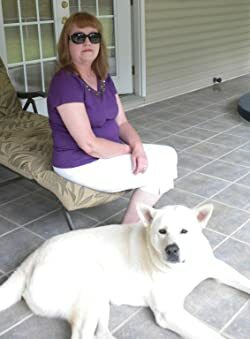 Welcome to Constance Barker's BookGorilla Author Page! We're working hard to bring you the best deals ever on Constance Barker's Kindle books. If you’re a Constance Barker fan, we'd love to have your help in making this author page special. Tell us, in no more than 150 words, why you think Constance Barker is great. Use this webform to send us your submission, and if we select yours we'll offer you one of Constance Barker's books or a Kindle Gift Card as a free gift! Thanks! Please enter your email address and click the Follow button to follow Constance Barker! It's all Monkey Business Until Someone's MurderedDon't be shocked when a chimp guides you to your table at The Monkey's Eyebrow Tea Room, or if you spot Mark Twain sitting at the next table. Oddities occur in this quirky town, even murder. Will the dainty chimp with the frilly dress save the day? Stranger things have happened. Three dates, a golf cart with a shark fin on top, and a con manLily and her aunts find themselves with dates to the same function. Little do they know the event will end with some unfortunate soul staring into the great beyond. And as they say, hell hath no fury like a woman scorned. When the girls visit Las Vegas, slot machines and shows are high on their list. But when a murder occurs and a friend is accused, it's up to the We're Not Dead Yet Club to strut their stuff. However, the gals aren't use to a town like Sin City, and its wily ways may hold danger and intrigue for our favorite group.